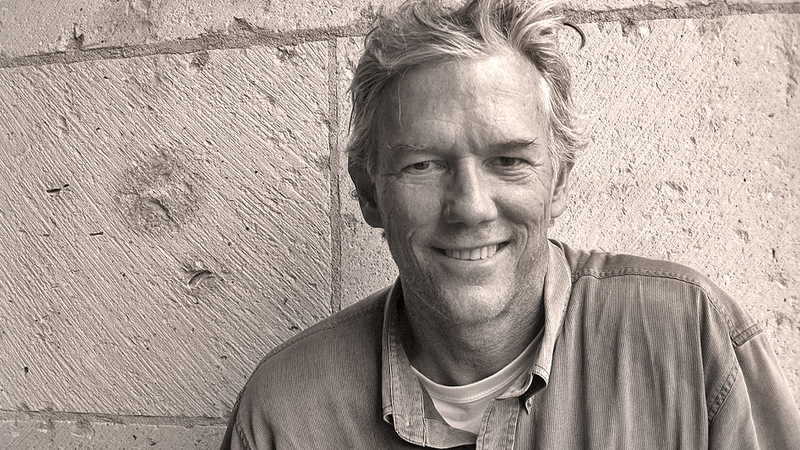 William Finnegan is an award-winning reporter, a staff writer at The New Yorker, and the author of the Pulitzer Prize-winning book Barbarian Days, a memoir about his lifelong passion for surfing. A book beloved by surfers and non-surfers alike, Barbarian Days is an old-school adventure story. Whether speaking about his experiences as a political journalist or his bestselling memoir, Finnegan gives audiences a fresh understanding of the world around us. 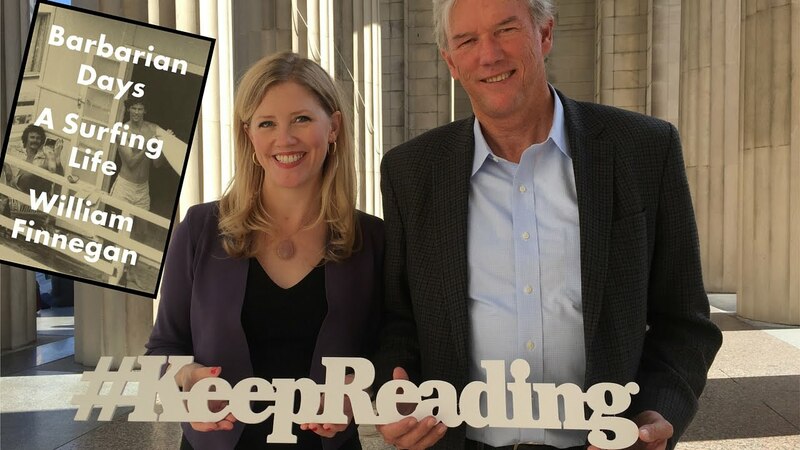 William Finnegan is an award-winning journalist and the author of five books. A New Yorker staff writer since 1987, Finnegan has reported extensively on conflict and culture in many different parts of the world, including Africa, Mexico, Central America, South America, Eastern Europe, the Persian Gulf, and the United States. In addition to his work as a journalist, Finnegan is the author of the memoir Barbarian Days: A Surfing Life, which received the 2016 Pulitzer Prize in Autobiography and was one of the most acclaimed nonfiction books of the year. Barbarian Days is more than just a memoir of great waves discovered and ridden. It is a story of family, friendships, love, coming-of-age, and the gradual mastering of an exacting, little-understood art, told with such lyricism and insight that even non-surfers will be swept along for the ride. Raised in California and Hawaii, Finnegan has chased waves across the globe since childhood—through the South Pacific, Australia, Indonesia, and Africa. His wide-angle curiosity and sympathies open up new worlds with self-deprecating humor and sensitivity. Finnegan is a sincere and funny speaker. He can talk about his double life as a journalist, covering civil wars and international organized crime, and his far-flung adventures as a serious surfer. He also gives insightful talks on how he came to write his captivating autobiography. Finnegan has received numerous accolades for his work at The New Yorker. A two-time National Magazine Award finalist, he is the recipient of two John Bartlow Martin Awards for Public Magazine Journalism as well as two Overseas Press Club awards, both since 2009. In addition to Barbarian Days, Finnegan’s books include Crossing the Line: A Year in the Land of Apartheid, which was chosen by The New York Times Book Review as one of the top ten nonfiction books of the year; Cold New World: Growing Up in a Harder Country, which was a finalist for the Helen Bernstein Award for Excellence in Journalism; Dateline Soweto: Travels with Black South African Reporters; and A Complicated War: The Harrowing of Mozambique. He lives in New York City with his wife and daughter. 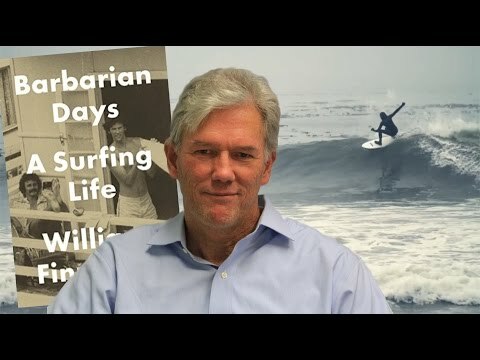 William Finnegan's Barbarian Days: A Surfing Life won the 2016 Pulitzer Prize and was one of the most praised nonfiction books of the year. In this talk, Finnegan explores the background and stories behind the book, as well as the pleasures and pitfalls of memoir as a genre. Through his thoughtful and humorous reflections, Finnegan inspires audiences to consider how their own passions and lives lend themselves to storytelling. 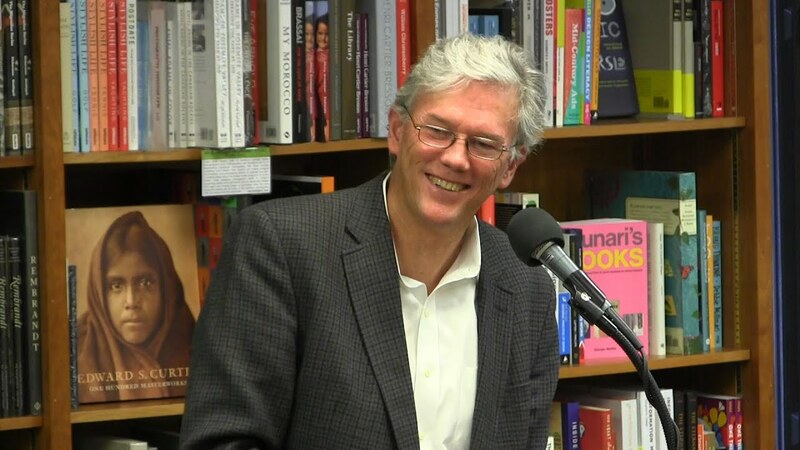 For the past three decades, William Finnegan has been a staff writer at The New Yorker and has reported on a host of contemporary global issues, writing primarily about politics, war, poverty, race, U.S. foreign policy, political Islam, and globalization, but also punk rock, the Olympics, and surfing. In this lecture, Finnegan talks about working at The New Yorker, diving into his experiences as a reporter and shedding light on some of the topics he has covered. Incandescent… I’d sooner press this book upon on a nonsurfer, in part because nothing I’ve read so accurately describes the feeling of being stoked or the despair of being held under…. [But] it’s also about a writer’s life and, even more generally, a quester’s life, more carefully observed and precisely rendered than any I’ve read in a long time. …Barbarian Days offers a clear-eyed vision of American boyhood. Like Jon Krakauer’s Into the Wild, it is a sympathetic examination of what happens when literary ideas of freedom and purity take hold of a young mind and fling his body out into the far reaches of the world. Reading this guy on the subject of waves and water is like reading Hemingway on bullfighting; William Burroughs on controlled substances; Updike on adultery… Finnegan is a virtuoso wordsmith, but the juice propelling this memoir is wrung from the quest that shaped him… A piscine, picaresque coming-of-age story, seen through the gloss resin coat of a surfboard. Through the sheer intensity of his descriptive powers and the undeniable ways in which surfing has shaped his life, Barbarian Days is an utterly convincing study in the joy of treating seriously an unserious thing… As Finnegan demonstrates, surfing, like good writing, is an act of vigilant noticing. [A] lyrical, intellectual memoir. The author touches on love, on responsibility, on politics, individuality and morality, as well as on the lesser-known aspects of surfing: the toll it takes on the body, the weird lingo, the whacky community. Finnegan’s world is as dazzling and deep as any ocean. It’s a pleasure to paddle into and makes for a hell of a ride.